Fisker Automotive and actor Leonardo DiCaprio just announced that they will work together to promote global sustainability. Both Fisker and DiCaprio are deeply committed to the cause – Leonardo is an equity investor in Fisker Automotive and he will participate in conversations on the auto manufacturer’s future plans for the advancement of sustainable, responsible vehicles. He will also work closely with Fisker on marketing and promotional initiatives aimed at bringing attention to sustainability and environmental awareness. 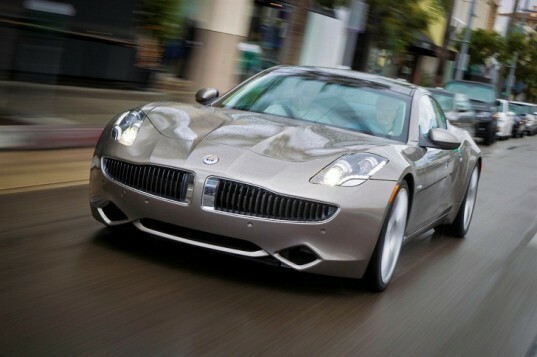 In 2011 Leonardo DiCaprio received the first Fisker Karma electric vehicle off the production line. Fisker Automotive and actor Leonardo DiCaprio just announced that they will work together to promote global sustainability. Both Fisker and DiCaprio are deeply committed to the cause - Leonardo is an equity investor in Fisker Automotive and he will participate in conversations on the auto manufacturer’s future plans for the advancement of sustainable, responsible vehicles. He will also work closely with Fisker on marketing and promotional initiatives aimed at bringing attention to sustainability and environmental awareness.